Marc For DA has created this privacy notice to explain how we use information that you may provide while visiting our website and to demonstrate our firm commitment to Internet privacy. Marc For DA may modify this policy from time to time so we encourage you to check this page when revisiting this website. Marc For DA is committed to protecting your privacy online. When you register, contribute, sign up to volunteer, or take any other action on our site, we may ask you to give us contact information, including your name, address, telephone number and/or e-mail address. We may obtain information about you from outside sources and add it to or combine it with the information we collect through this site. We use this information to operate this site, send you news and information to you about Marc For DA & to solicit your participation in Marc For DA programs, events and activities, and obtain and confirm RSVP’s to events and programs. We use your e-mail address to send such information by e-mail and may use your telephone number to call you for these purposes. Marc For DA uses industry standard security measures to protect against the loss, misuse or alteration of the information under our control. Our server is located in a locked, secure environment. Permission to access your information is granted only to you and Marc For DA employees or contractors who need to know that information to provide services to you. Although we make good faith efforts to store information collected by this website in a secure operating environment, we cannot guarantee complete security. We want to help you guard your children’s privacy. We encourage you to talk to your children about safe and responsible use of their personal information while using the Internet. Marc For DA does not knowingly collect, use or distribute children’s personally identifiable information to any third parties. If you have any reservations, questions or concerns about your child’s access to this site or how information that your child provides is used by us, please contact us. 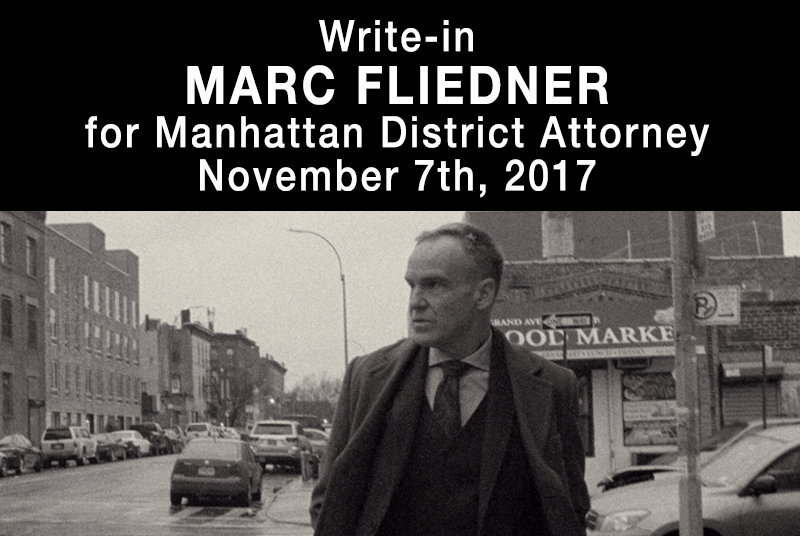 People who subscribe to e-mail lists via this website will receive periodic updates from Marc For DA by regular mail, fax and/or e-mail. You may opt out of receiving future information via e-mail by using the unsubscribe procedure specified on the e-mail message.